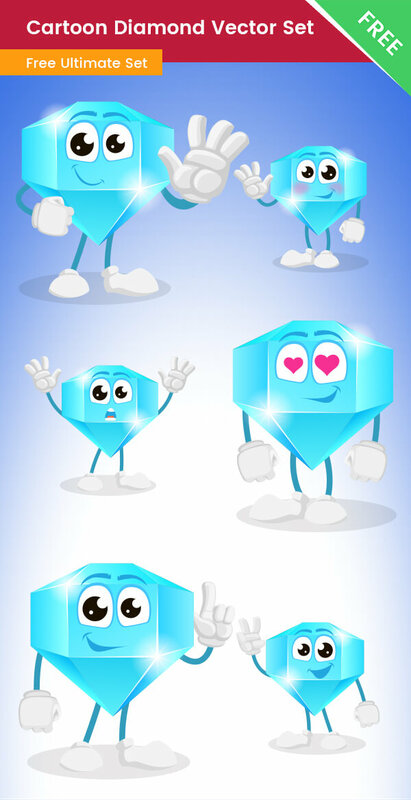 A Cartoon Diamond Vector Character made in a set of 6 poses. This shiny diamond character is made of vector shapes and it is available for free download. We’ve designed this diamond character to be cute and charming. It is made of vector shapes, so you can easily modify the colors and shapes to fit your design style. The set includes six poses, like making a point, peace, hello, shy, inlove and shocked. The whole cartoon diamond set is available for free download.